With a relatively new president in office many have cited the uncertainty of our times with regard to investing. However, this notion that a US president can single-highhandedly control the economic landscape of the country is misguided. In truth, policy changes from Federal Reserve hold much more sway over the state of our markets. Now is an especially good time to revisit this fact as Janet Yellen, the current Chair of the Federal Reserve prepares to step down. Jerome Powell will soon be taking over prompting many to question how this new leadership will influence our economy. Why does this matter for gold investors? Unexpected events like this help stabilize gold prices by effectively creating a “floor” even in times of falling value. Gold prices have fallen in recent weeks hitting multi-month lows. This comes at a time when gradual increases in rates has reinvigorated investors’ appetites for yield-bearing investments. 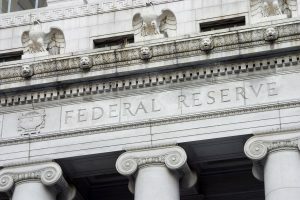 However, uncertainties in other areas, like the Federal Reserve Bank of New York, keeps investors vigilant. This cautiousness helps prevent further slips in gold prices. On a global scale, instability in Spain’s government and Venezuela’s economy are also fueling the fire. Investors can get a concise, holistic measure of uncertainty around the world with the Economic Policy Uncertainty Index. This single number represents a reading based on two components. The first quantifies uncertainty within newspaper coverage of economic policies. The second gauges how many federal tax code provisions will expire in the coming years. A reading of this figure from January 1, 1997 to October 1, 2017, shows a clear upward trend reaching an all-time high in January of this year. Until October of 2008 the figure had never risen above 200. Since then the index has broken the 200 mark on six occasions. This is a visual illustration of the pervading uncertainty that makes gold a worthwhile, long-term investment. While many eager investors get caught up in the moment, the long-term is what counts. Recent events, which are pushing gold down, are fleeting. However, the supportive elements that prevent a complete collapse of gold prices are consistent because they’re based in the inherent uncertainty of an increasingly complex world. The key for success remains the same; investors must maintain perspective on the wider picture while ignoring the headlines that pray on passing fears.